Did you know that Industrial Communications is not your typical two-way radio shop? Industrial Communications enhances its wireless portfolio with Specialized Communication Solutions to form an integrated approach to your specific needs. From GPS systems to Data Telemetry, our Systems Design and Engineering team will facilitate customizing a solution appropriate for your applications. Industrial Communications offers a variety of positioning solutions enabling professionals in engineering and construction, surveying, agriculture, fleet management and field service to be more productive by revolutionizing their work processes. Experience optimal efficiency with the ability to manage your mobile workforce activity. The Global Positioning System identifies the origins of electronic signals by latitude and longitude. GPS allows MRM (Mobile Resource Management) for advanced vehicular controls and graphically displayed monitoring from supervisory terminals at the customer’s main office. Providing these answers in a responsive and vivid web based environment, creates a powerful and flexible solution. Industrial Communications empowers the user through visuals and text reporting. If your business depends on a fleet of vehicles to provide products or services, then driver productivity and vehicle routing are critical to your bottom line growth. Rising fuel prices, high maintenance costs and employee payroll creep due to overtime, traffic delays and scheduling issues all impact your business’ profits. Our GPS vendors are transforming the way work is done through the application of innovative positioning. 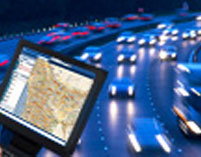 We offer GPS product offerings from Trimble, CES and Fleetmatics. 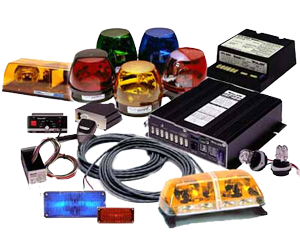 With sirens, light bars, wigwags and more, Industrial Communications is your one-stop-shop for all your emergency equipment needs. We offer both Red/Blue emergency equipment for public safety vehicles as well as Amber emergency equipment for construction and commercial industry. Emergency equipment enhances the safety, security and well-being of communities and workplaces around the world. From law enforcement, fire rescue/EMS, homeland security, intelligent transportation, streets and sanitation, industrial and commercial operations – Industrial Communications product vendors have you covered. Product offerings available from Federal Signal, Whelen and Code 3. Organizations with mobile field personnel typically have a central dispatch center. The dispatcher uses information with which to dispatch field workers and collect data on their work. There are many sub-systems and information sources required by the dispatcher that depend upon these specific applications. Industrial Communications offers communications centers with some of the most flexible and capable communications control systems available…anywhere. At their fingertips, operators have the means to manage an entire network of critical radio and telephone communications. Industrial Communications employs a dedicated Design and Engineering staff to customize your dispatch center to your individual needs. Dispatch console solutions available from Telex/Bosch, Motorola, Zetron and Positron/IPC. Stay connected in remote areas where regular cellular coverage is relatively poor or non-existent. You’ll experience superior voice quality along with data and dispatch capabilities including Internet access from virtually anywhere in the world. The Globalstar portfolio of quality products can help you maintain productivity and keep in contact from remote locations and worksites. Use the Handheld Phone while traveling in remote areas, a Car Kit for hands-free convenience while driving, or one of the Fixed Phones for remote offices or dwellings. 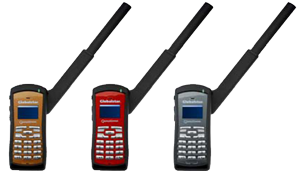 Globalstar products and accessories connect you today in places where cellular and landline are unavailable. Wherever your business or life takes you, you’ll have the benefit of affordable communications virtually anywhere or anytime. Equipment that deploys as quickly as you do. Satellite voice and data communications have never come in so many different flavors. Iridium offers a broad array of voice and data products.Find everything you need to equip your vehicle, aircraft or vessel. With accessories and specialized products ranging from solar chargers to fleet tracking devices, you can be sure that your unique needs will be met. Skyterra’s current services are among the most reliable and wide ranging in the industry providing superior capacity, coverage and reliability across North America, northern South America, Central America, the Caribbean, Hawaii and its coastal waters. To meet the needs of every customer, Iridium offers a flexible range of satellite voice and tracking solutions. 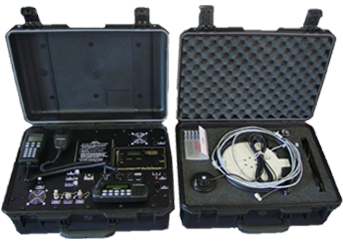 Meet the Satellite Portability Unit, our exclusively designed portable satellite kit. This land mobile satellite phone system provides secure & reliable satellite phone radio communications during emergencies when land-based networks are not available. We’ve configured the MSAT G-2 satellite unit into a storm case for solid protection and the ultimate in portability. Paired with an additional storm case for transporting the satellite antenna and accessories, you’ve got the most convenient and packaged satellite phone system on the market. Tailoring and customization of this system solution to your individual needs is available through our Systems Design and Engineering team. Mobile Display and Status Terminals—Another advanced device for intelligent data messaging. The capabilities of this device include the ability to display messages and automatically report a “status” message to the dispatcher. In addition, the unit supports submenus, canned messages, and work order processing. 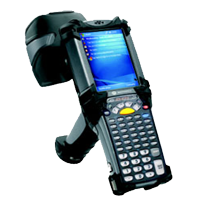 The Motorola MW810 is the most advanced fully-rugged fixed-mount computer on the road—optimized for wireless communications in the harsh environments of mission-critical vehicles. The MW810 provides reliable, secure wireless connectivity and computing power for mission-mission-critical applications. The embedded high-performance computing platform is optimized for seamless mobility at highway speeds—so you can access information when you need it most. Provides high-speed data bandwidth and long-range coverage and are designed for the mobile environment. Highly regarded in the public safety community, these mobile data kits provide great scalability, multiple levels of security, and central management, giving you a wireless network that is accessible and reliable during even the most dire of emergencies. Other Mobile Data Wireless Solutions include telecommunications such as telemetry, Ethernet bridges and gateways, and online transactions. Broadband is today’s communications gold standard. Virtually everybody wants it, but reaching users, whether customers or colleagues, with secure, reliable, cost-effective broadband service has been an enormous challenge. Industrial Communications is proud to offer secure, flexible and reliable wireless solutions for your broadband needs. Let our dedicated Systems Design and Engineering team create a solution for you. Industrial Communications paging vendors include Multi-tone and US Alert. Specializing in delivering wireless voice and messaging systems to organizations worldwide. Whether you require radio-paging systems, personal security or the mobility offered by wireless telephone systems, our Systems Design and Engineering team can configure a system to meet your needs. Supervisory control and data acquisitions allows data to be monitored, captured, displayed, and retransmitted between a variety of host and remote client equipment. Applications include advanced tracking algorithms, allowing devices to report on polled, timed, or exception conditions and return velocity, health, event log and time, as well as other under defined parameters. Data can also be recorded and accumulated over extended periods and then transferred in “rapid fire” at pre-programmed time intervals. 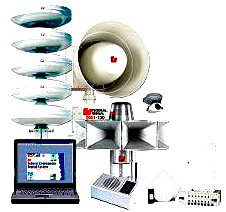 In order to provide citizens with the most effective emergency warning system possible, cities, municipalities, universities, industrial and nuclear power plants all utilize outdoor warning sirens for all national weather service storm warnings, as well as a complete solution for emergency and mass notifications. Sirens are still the most effective method to warn the population at large in the shortest amount of time. In addition, mass notification systems involve applications that allow campus authorities to send out specific information via landline telephone, cell phone, SMS text and email. This system’s versatility in both message flexibility and delivery method provides a truly complete solution to notify anyone within range of a phone or a computer. 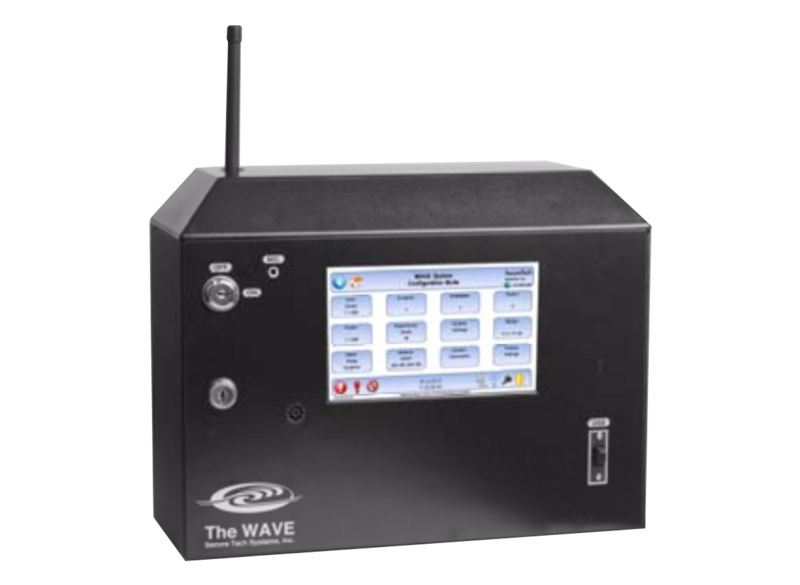 The WAVE Plus is the most feature-rich and effective instant notification system available. Having an emergency notification system that alerts local law enforcement of an incident without delay is crucial. Alarm messages transmitted over the radios carried by law enforcement is simply the fastest and most efficient way to notify officers of an emergency. With the latest in digital video solutions for public safety, Industrial Communications offers components for both the vehicle and the host computer whose storage retrieval systems provide for easy management. Industrial Communications provides solutions that meet the needs of national, state, metropolitan and local governments by enabling information sharing through innovative, interoperable standards-based telecommunication and service-oriented architecture solutions. Products and solutions available for P25 Capabilities, Interoperable Communications Solutions, Voice, Video and Data Integration and proven radio solutions. Let Industrial Communications Systems Design and Engineering team create a solution for your specific needs. Product offerings available from Raytheon/JPS and Telex/Bosch. Voice recorders can be used in combination with dispatch consoles to record all voice traffic, transmissions and receptions, on the system and allow an archival record to be produced and saved. 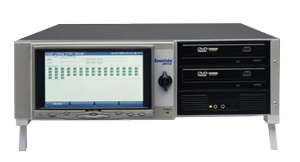 Industrial Communications is proud to offer Voice Recorder offerings from both Eventide and Telex/Bosch. Radio Frequency Identification. Provides a mechanism to identify and manage people and things via a wireless microchip. Data stored on an environmentally resistant tag several centimeters in size is transmitted to a reader via electrical or electromagnetic waves. RFID is considered to be a potential replacement to barcodes. Product offerings from leading manufacturers including Symbol. Point-to-point wireless broadband is an ideal solution for many unique applications: hot spots, “last mile” access, backhaul, security/surveillance and more. During tactical operations, every SWAT team member has a specialized role within the unit, and each position experiences distinct communications challenges. Someone carrying a shield in one hand and a weapon in the other cannot easily access a Push-To-Talk (PTT) button. A sniper must keep both hands steadily on their rifle, even when needing to access their radio to message a teammate. During SWAT operations, every second matters, and seamless communication can mean the success of the operation, and the life or death of the professionals and civilians involved. Each SWAT member has gear customized for his or her role, and each uniform has specialized communication needs. SWAT officers can customize their solution and communicate more effectively with a Tactical Kit that can be configured with up to four unique audio accessories and three PTT options. 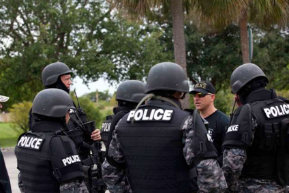 Each situation is different, and SWAT teams need to be prepared for every possible scenario. Imagine that a criminal is barricaded in a building and the SWAT team is called in. The shield operator is the first one to enter the building. He leads the rest of the team, holding the shield in one hand and the gun in the other. To provide critical updates on the changing situation, he needs to press the radio PTT button in order to communicate. A Ring PTT can be attached in a variety of ways so the officer can easily PTT without taking his finger off his weapon’s trigger. The SWAT team needs to be ready and listening for further direction while also being aware of their surrounding environment. They need to protect their hearing in order to set off a stun grenade, also known as a flash bang, to disrupt hearing and balance, prior to entering a building. A bone conduction device called Temple Transducer allows officers to receive the radio communication via bone vibration to the inner ear canal. At the same time, this headset enables the team to wear critical hearing protection during the flash bang. It also leaves the ears open to hear critical noise in their surrounding environment after the bang. Being able to comfortably wear the Temple Transducers under helmets and protective masks makes this bone conduction device a perfect fit for Special Forces. At times, SWAT members need to transmit through the radio very discreetly, speaking softly so that a suspect cannot hear the conversation. The Throat Microphone is so sensitive that it allows whispering to be transmitted quickly and clearly. This device, which uses advanced microphone technology, picks up the vibrations from the users throat so there is no noise interference when transmitting through the radio. SWAT officers feel confident in using a Throat Microphone to communicate, and can comfortably wear any protective head gear without the audio accessory getting in the way. These solutions and other tactical devices easily attach to one interface and allow SWAT officers to change the devices they are using based on the operations they face. Motorola Solutions continues to develop solutions that help officers communicate seamlessly in critical situations so that they can focus on preventing disasters.